The 30th Cleveland Fire Academy begins today with 40 new recruits who will undergo 18 weeks of rigorous training before graduation scheduled in November 2015. The new cadets will fill vacancies created by retirements and ensure that staffing levels remain consistent with the needs of the Cleveland community. 130 hours in emergency medical care, certifying the recruits as Emergency Medical Technicians. 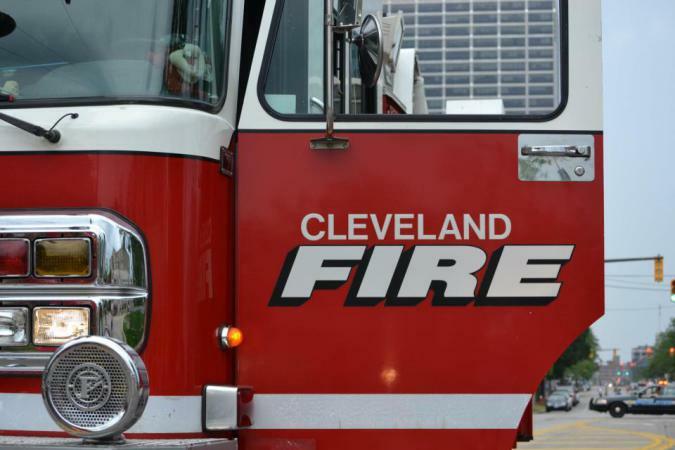 “Our objective is to build upon the expertise of each division in Public Safety and create an all-hazards approach to fire, rescue and medical services delivered in the City of Cleveland” said Public Safety Director Michael McGrath. The Cleveland Division of Fire has been serving the Community of Cleveland, Ohio for over 150 Years. The Division of Fire’s core values are centered around the protection of lives, property and the environment through preparedness, prevention, public education and emergency response; with an emphasis on quality services delivered efficiently, effectively and safely.